Sectional gutters are sold in pieces that measure from 10- to 22-feet long. They are made out of vinyl, painted aluminum or even pre-painted steel. The gutter sections are joined together by various types of connectors and sealants. All sectional systems have caps on the ends, corner pieces and drop outlets for connecting to the downspouts. These joints are also common to "seamless" gutters. From this perspective, even seamless gutters have seams in some areas. The difference is seamless gutters do not have seams where they are avoidable because they are manufactured on site to specific lengths. The downside of sectional gutter systems is that there is a potential for leaks at the seams that is aggravated by weather over time. By definition and design, sectional gutters simply have more seams that can leak and discolor. The flexibility offered by manageable and predictable lengths is offset by the need to join them to maintain continuity of the water flow channeling system. This may be self evident but its disadvantages are overlooked or under communicated. The simple truth is that gutters that are unattractive can disproportionately affect the value of your property because it is visually distracting and impacts buyers emotionally. The great popularity of home owners' educational television programming makes this point over and over. Ugly is ugly and when you are looking for top dollar, ugly is expensive. While sectional gutters can be installed by the homeowner the drawbacks when considered against the advantages of seamless gutters are considerable which is why they are not as popular as they once were. The commonly accepted truth is that sectional gutters may even negatively impact the salability of your home because of their known limitations. Generally, professional installers simply do not use sectional gutters except in the most unusual circumstances. At our company we have only used them in unusual commercial applications when extraordinary width was required. We have never used sectional gutters for home applications. Any well equipped professional gutter company will manufacture each section to the required length for each area of the house. Sectional gutters are more popular among do-it-yourselfers because it is difficult to find seamless gutter companies that will "drop-off" seamless gutters sections that they manufacture on site. There is too much overhead involved to make it profitable for most. Seamless gutters are the most popular type of gutter used today. They are usually made out of aluminum that has a durable baked-on finish, but seamless gutters may also be made from copper or steel that comes painted from the factory. Most gutter installers bring a special machine to the job site so that they can manufacture the gutters to exact measurements that they take on the spot. These types of gutters cannot be produced by do-it-yourselfers because the needed machinery is expensive and heavy and is easily damaged if not operated properly and therefore not even available to non-professionals. Overall, if you have the choice, seamless gutters provide the best value and should you sell your property, the best return on investment, but in an emergency, particularly if money is tight, the do-it-yourselfers can use a sectional gutter to resolve an immediate problem and prevent further damage. When Does A Rooftop Need Repairs? The roof is a vital part of a properties structure and needs to be maintained to a high-standard to make sure it is able to offer the utmost level of protection. It is also the part of a property that he is likely to suffer more from adverse weather, which means the will roof need a regular schedule of inspection in place. In order to decide when a pitched or flat roof might require maintenance work or a complete replacement, it helps if you are able to establish the actual age of the roof and the type of material it is constructed from. Older properties are likely to need repair work a lot sooner than some of the modern properties which are likely to be constructed with more hard-wearing and resilient materials. Certain older materials are known to deteriorate at a much quicker rate and therefore you need to complete inspections on a more frequent basis. If the regular schedule of inspecting, cleaning, and maintenance is in place, this can go a long way to prolonging the life expectancy of the properties rooftop surface. Weather is a further reason that needs to be considered when establishing how often it might be necessary to carry out inspections or repairs on a particular roof top. Properties situated in areas that are likely to experience heavy winds, intense rain, and thick snowfall, are much like to need more attention and care. It is generally found that the easiest method for checking whether or not a roof top requires remedial work is via a visual inspection. In order to achieve this, it would be necessary to give an in-depth inspection to search for chips, holes, breaks, or cracks in the roofs surface. If you don't actually feel comfortable inspecting a roof from roof height or a major defect in the roof structure is detected then it often benefits to call on the services of a professional roofing contractor to give an estimate on the required repair work. If it becomes apparent that the roof defect is of such a significant size that it will be necessary to replace the roof, the roofing contractor will likely advice on the most resilient roofing material options to make sure it's able to last for the long-term. If contacting a roofing company, it is often helpful to get several estimates to make sure the figures quoted are at a reasonable and acceptable level. Roofing Maintenance Tips: When Is It Time for a Replacement? When hiring a roofing company to inspect the structure and provide roofing maintenance, the building owner is extending its lifespan. One of the most common repairs that building owners have to pay for is the removal of leaks. When a roof has a leak, it allows water and mold to accumulate within the structure. Retail and business owners also recognize that a leaky roof could leave the business susceptible to costly lawsuits due to the threat of slip-and-fall accidents. Roofing companies are also hired to replace shingles or repair areas of the roof that have decayed over time. Over time the cost of repairs will keep adding up until it becomes more cost effective to have a new roof installed instead. A replacement roof installed by a competent contractor will not require repairs for several years. A roofing structure typically is protected by a warranty for a set number of years after its construction. An older roof has likely outlived its warranty, meaning that the building owner will be responsible for the full cost of roofing maintenance that becomes necessary down the line. Fortunately modern roofers will stand behind the quality of a new roof, offering a warranty at no additional cost. Some modern warranties cover the cost of semi-annual inspections so that the building owner discovers and is able to correct problems before they have a chance to grow into major issues. Since these warranties offer more protection against the cost of roofing maintenance, it will be cheaper to own and maintain a newly installed roof instead of keeping an older roof standing until it breaks down. When a house or other building is put up for sale, the owner usually invests thousands of dollars so that it is in a condition that is more appealing to potential customers. While the owner might replace the carpet, have the walls repainted, or renovate the kitchen, most neglect to install a new roof. However, a new roof offers a better return on investment (ROI) than the renovations mentioned above. This means that the property owner gets a higher percentage of what they spend on the roof back following the sale. Replacing the roof on a building will allow the owner to reduce the amount of needed repairs, cover future roofing maintenance under a warranty, and boost the value of his or her property. An easy way to choose the right shingles for your home. Gutter installation is not usually something you want to do yourself. After all, most people don't want to try and bend material one way or the other to create an even flowing, effective system around the home. Though you could do it on your own, it may be a better option to have a professional handle the work for you. Doing so could make it far easier for you to get the job done and not have to worry about it for years to come. The question is, though, what is the benefit of having a pro do the work? One of the biggest reasons to turn to a professional for gutter installation is simply because the system installed is right for your home. Often, they will build the gutters right on your property. They are customized to fit your specific needs. As a result, they often function better than any type of piece-by-piece project that you may purchase from a home improvement store. This is especially important for homes with numerous peaks and various twists and turns. No matter what time of the year or how many ladders you have, it is far riskier for you to handle the installation than for a team with ample tools and harnesses to keep them in place. That means that you do not have to worry about falling off the ladder or for your best friend or family member to fall if he or she is helping you with the installation. Hands down, having a pro do it will keep you from falling. If the gutters are not put in properly, they can contribute to the problems you have with your foundation. As water runs through the system, if it is not flowing away from the home properly, it could push against the home's foundation. Water is incredibly dangerous because it washes away the soil surrounding your home. This makes it possible for moisture to enter your home or, even worse, for the foundation to weaken. You need to ensure that this system is pushing water away from your home and that the grading is done properly to avoid these risks. If you invest in the right company and they install the system for you, but a problem happens a few weeks later, you want the ability to pick up the phone and get help. That's something you can do when you have a pro do it. Getting a professional to handle gutter installation makes sense. The process is quick and easy. It can even be very affordable. It is a necessary step in maintaining your home. Shingles are just one part of a much bigger picture. A healthy long lasting roof is actually made up of many parts that work together and if one of them is missing it can end up costing you in the long run. Owens Corning Roofing put together a system of products with everything your roof needs, the Essentials™ Accessory System. When most people purchase a house, they tend to forget that the shingles and other roofing materials are a very important part of it. After all, what would a house be without shingles? If you are here, you probably have the answer to that already and you know that at some point, you will need to replace or repair your roof. The question, however, is what type of shingles you will need, and even more importantly, what disaster could lead to the need for a total replacement. Let's talk about different shingle types and their lifespan to start. These are the most common shingles in the residential sector. They are indented, and they give more of a thatched appearance. In addition to that, they are very cheap. The average life expectancy of these shingles is 15 to 30 years, depending on weather conditions. These shingles are fairly expensive, but they will actually give you a more natural appearance. In addition to that, they will last much longer than asphalt. A lifespan of 30 to 50 years is usually expected with wood shingles, which will be reinforced if they are properly treated for fire. There are many different colors and styles when it comes to metal roofing, and they are very low maintenance. They are however very expensive and difficult to install. Metal shingles have the potential to last up to 50 years. Houses in dryer climates will benefit from tile shingles, and they work for different style homes. For example, French, Italian, and Spanish home styles look much better with tile singles. In addition to that, they are fireproof, ensuring a much longer lifespan. Keep in mind however that they are heavy, and you will need to ensure that the frame of your house can actually support it. These roofing solutions are aesthetically pleasing, but you should note that they are fairly expensive. They usually require a team of experienced professionals to complete the installation, and they can be very heavy. Like tile shingles, you will want to make sure that your roof can actually handle it. As you can see, there are many different types of shingle available and roof maintenance is one of the most important things you can do for your home. It may not always be necessary to get a new roof, but there are circumstances under which you will need to perform that replacement. For example, if your roof becomes damaged in a hailstorm, or even collapses due to snow, you will need to know the extent of the damage, the cost to repair, and any warranty options that you might have. Repairing a roof and basic roof maintenance is not always the easiest thing in the world, but soon enough, you will have a great roofing solution, and you will be able to replace or repair your roof no matter what the circumstances. Search online today and find a good roof maintenance company to keep a roof over your head. 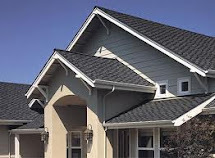 A professional roofing company will be able to discern between needing a new roof or some type of roofing maintenance.